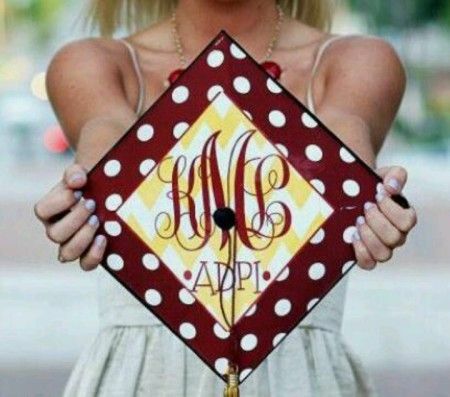 Monogram graduation cap decorations – so you want to keep it simple and classy and still stand out from the sea of mortarboards? We can help with that. 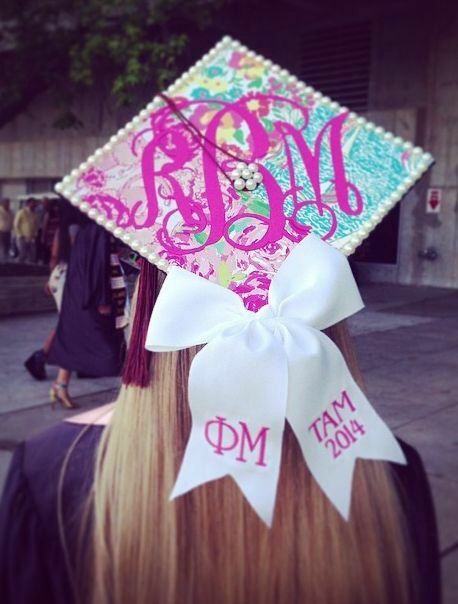 Monograms allow you to decorate your graduation cap with your initials and maintain some style without going all out. Embellishments are important, but so is being elegant. In years past, a person’s monogram meant something. It commanded respect, and was a mark of individuality. 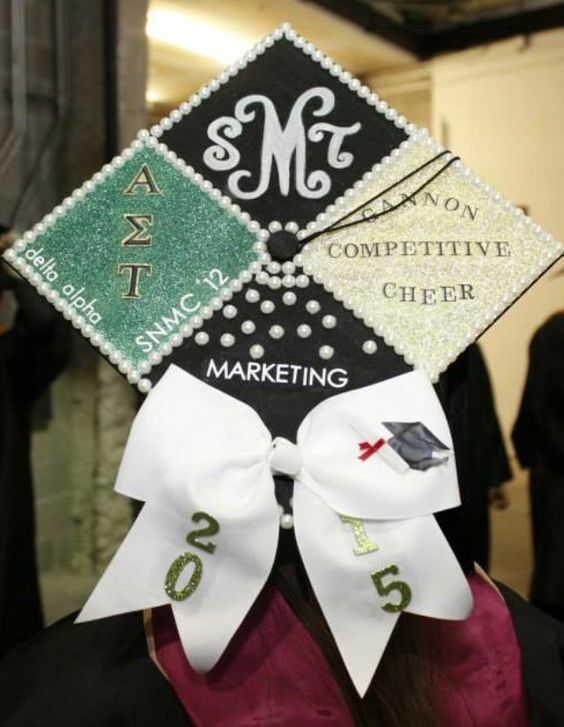 The revival of the monogram on graduation caps is befitting and upscale. 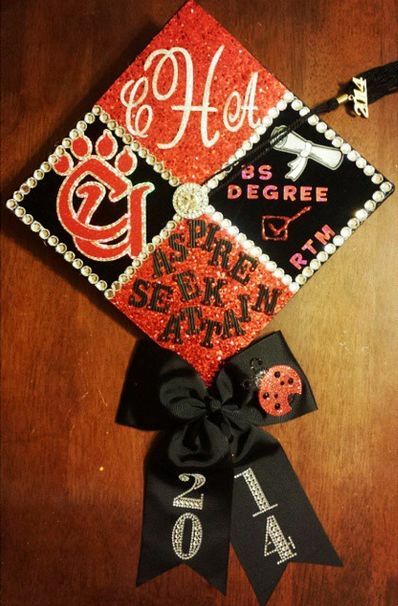 We hope the designs below give you some inspiration to guide you on your path of designing your own cap! 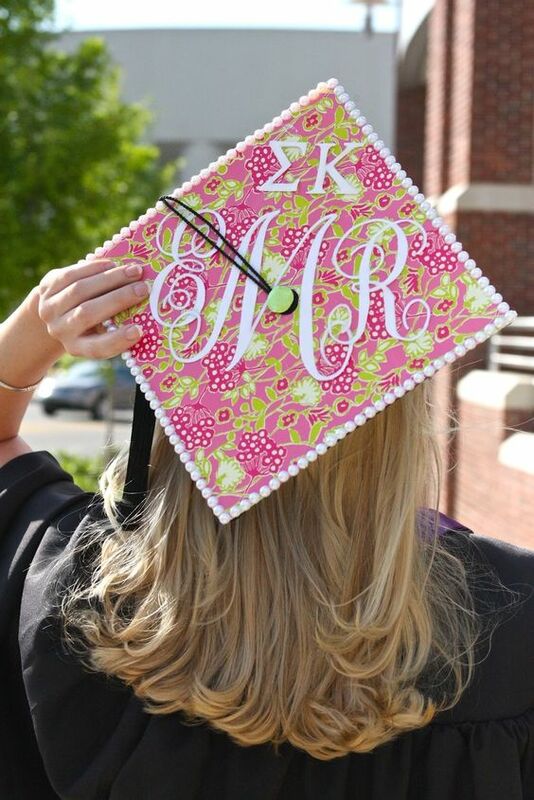 Here are the monogram graduation cap decorations! 1: A shimmering background is the start of something gorgeous. A tidy outline and initials on one side make this one a really nice example. 2: Split the board in four to tell the whole story – with the monogram at the top! 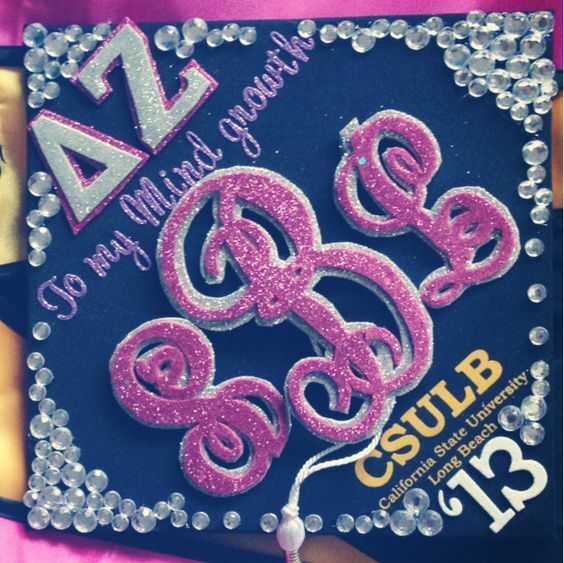 3: How about a shimmering background of rhinestones with a big initial in the center? 4: Intense colored background with a bow to really stand out from the crowd. 5: Another four-way design to illustrate how much space you really have as a canvas! 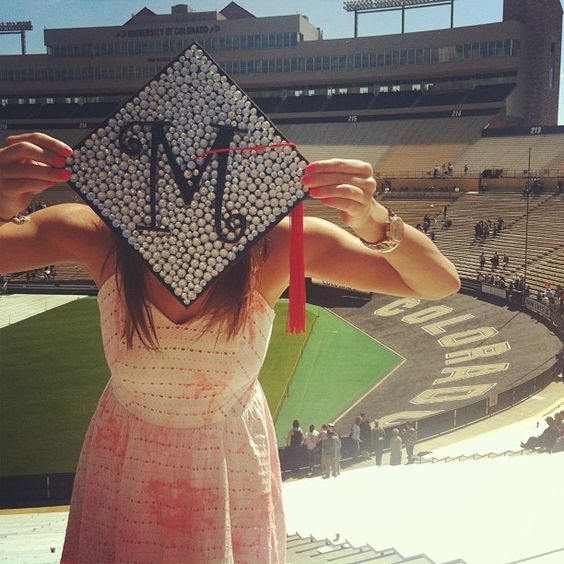 6: Because who doesn’t love polka dots on their graduation cap? 7: Simplicity is always underrated. 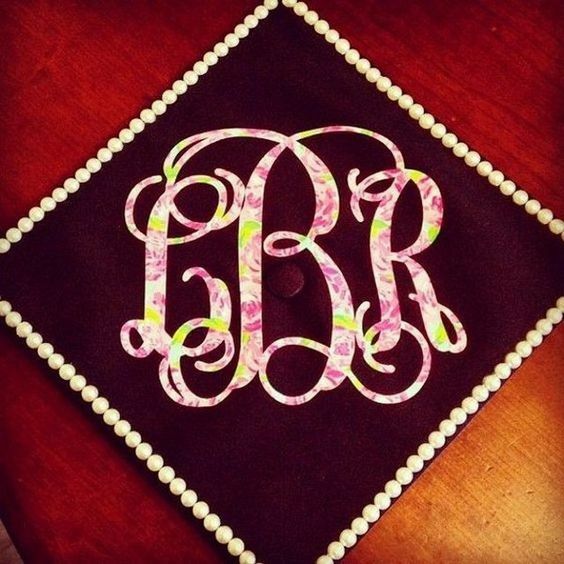 The pearl outline helps offset the colored initials in the center. 8: The background of the cap is crucial, and should be your first step. The white lettering is a nice touch, but black may be more appropriate so it can be seen from afar. 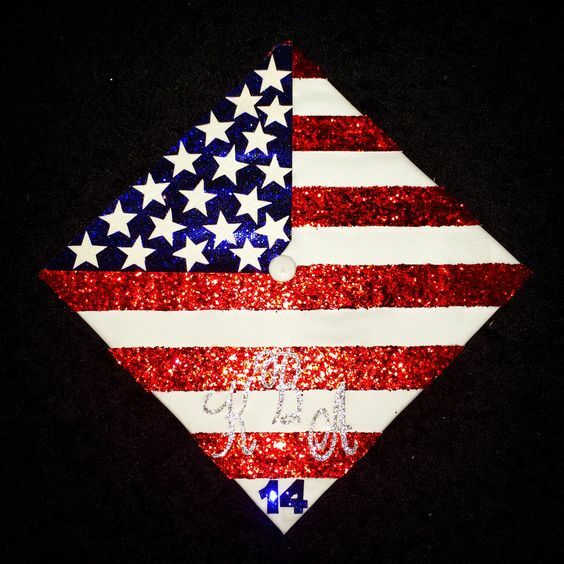 9: A patriotic graduation cap with a glimmering monogram! This one took some serious effort to keep the lines straight. 10: You don’t have to be a master at calligraphy, but it certainly helps if you are drawing on the lettering. 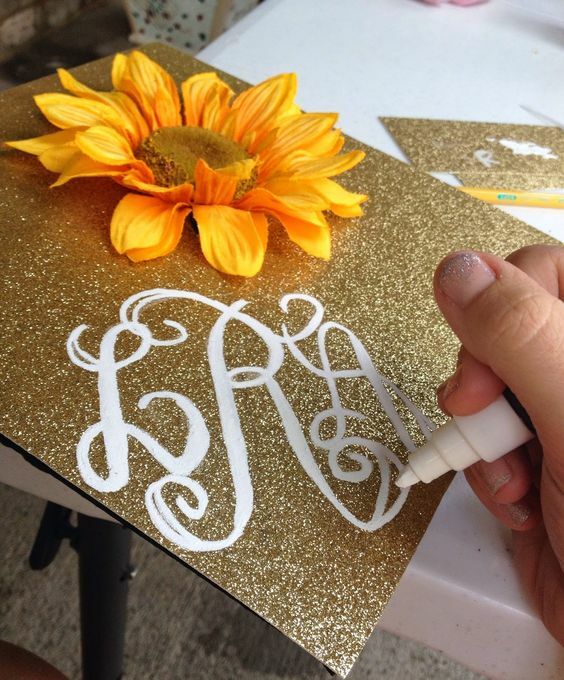 A gold background with a sunflower here definitely works with a white monogram. 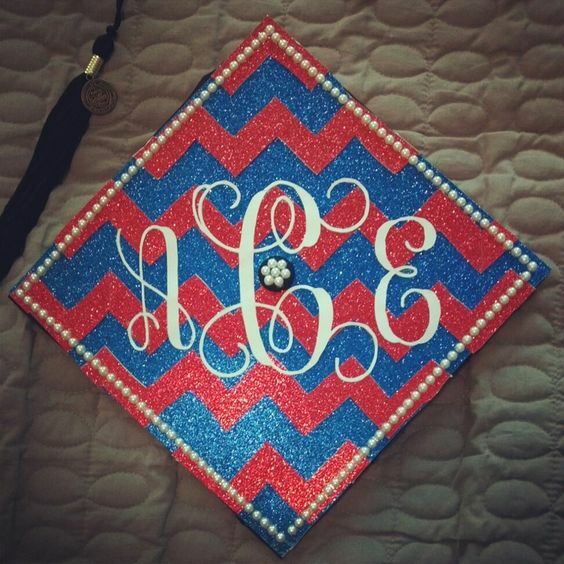 11: A Chevron two-tone design element with center monogram is pretty and unique! 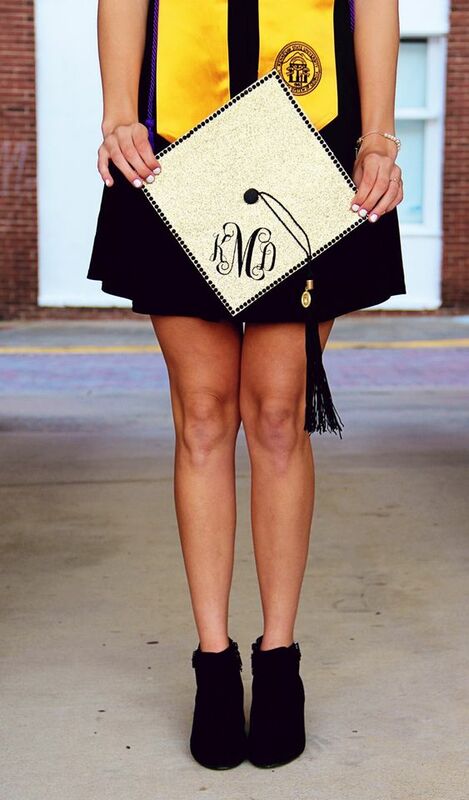 12: Shimmer, sorority and monogram all in one makes for a design that can’t be replicated.